The beauty of the Shereen dress is its versatility. 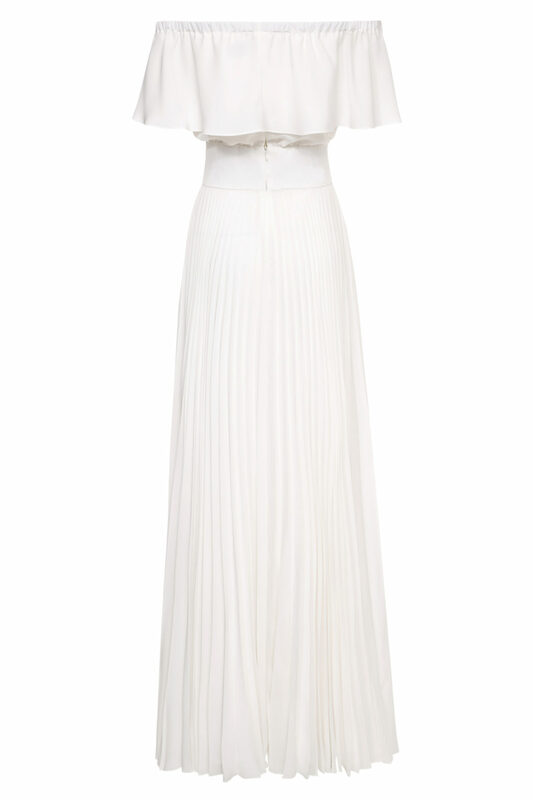 This pretty piece can be worn everywhere: from dinner on your vacation to bridal events. Cut from airy faux georgette, the dress has a ruffled neckline that beautifully frames your shoulders and an elasticated band that cinches the waist. 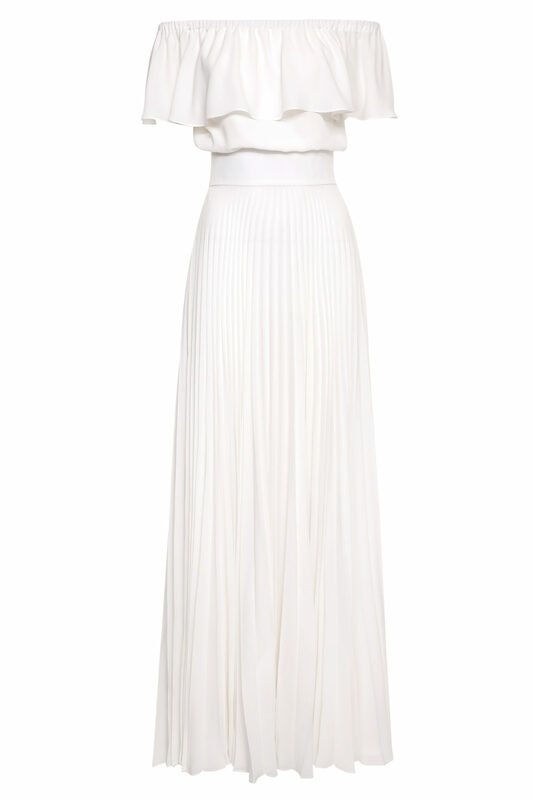 The full sun-ray pleated skirt gives movement and volume whilst remaining crease-free at all times. Styling tip: Complement the fresh white shade with metallic accessories. Emulate the collection look by styling with minimal jewellery and swept-back hair.